Clio Barnard's incredible follow-up to the visceral The Arbor, comes in the form of a tale overflowing with earnest humanity; a neo-realist fable which illuminates how even in the darkest of places, there is a light which can never go out. 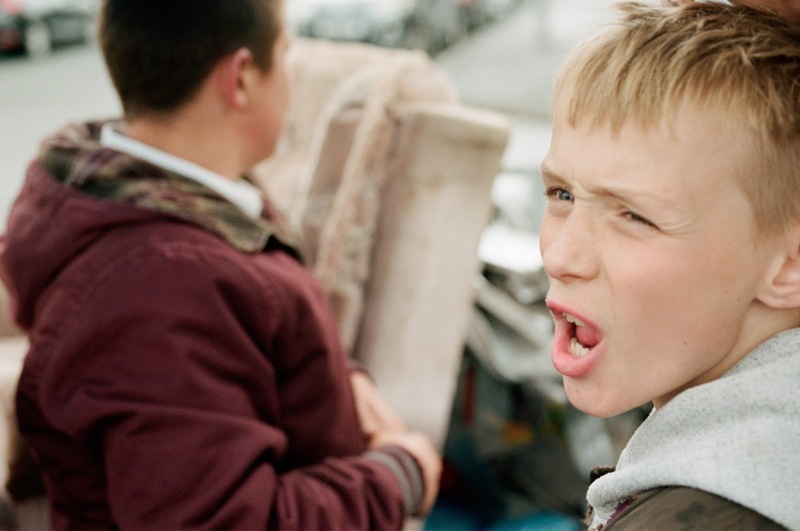 The Selfish Giant, a movie which understandably bowled over cinephiles at Cannes, is the joint story of a troubled 13 year old boy named Arbor (Conor Chapman) and his home City, the dilapidated Bradford - their two fates are entirely entwined. Expelled from school, and with little potential to find a new one, Arbor, and his good-natured friend Swifty (Shaun Thomas), stumble aimlessly into a career path they believe could provide salvation and, ultimately, money. Their new-found vocation, pursued with a teenage enthusiasm, sadly proves to be much more dangerous than the young boys could have ever imagined. In The Selfish Giant, Barnard creates a mean, sad world in which self-loathing digs away at it's characters insides and explodes externally, in the form of anger, on a daily basis. Infantile rage, an expression of sorrow, is the most loquacious form of expression available to the characters – even tender acts are complimented with aggressive swearing, friendships sealed by pushing each other into bushes and punching companions on the arm. Violence and dread are the two most ominous factors in this bleak, harrowing film and it's clear from early on that tragedy is never going to be too far from the surface of Arbor's life - the inevitability of this outcome does not make the conclusion any less shocking when it arrives; if anything, sensations are amplified and fear is heightened as we wait in dreadful, pained anticipation. But it’s not all grim – there’s a real lyrical beauty in Barnard’s composition which elevates the movie from standard neo-realist fare into a poetic, albeit grotesque, fairytale of sorts. Rather than being complacent with being a miserablist fable, The Selfish Giant is all things that cinema can aspire to be when at it’s most grandiose and eloquent – it’s a fluid, shifting portrait of a time and place and, equally, a lovingly hand-drawn portrait of the human heart in all it’s magnificence and at it’s weakest too. Without ever relying on pity, Barnard crafts an elegant study of a pained young life and a city around him which, too, has been left to fall into ruinous disarray. 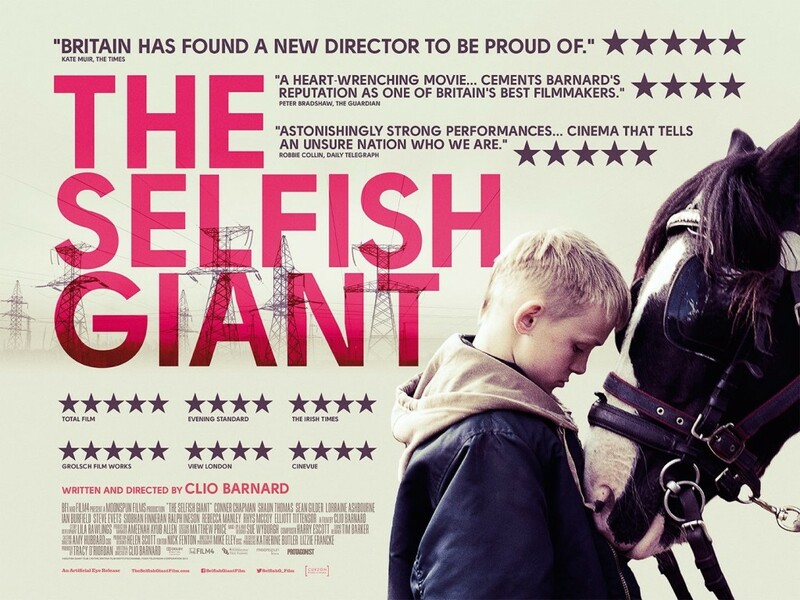 In The Selfish Giant, Barnard presents to us a modern Britain where the best an individual in Arbor's situation can aspire for is to work as a copper thief. Destiny, it would seem, has already dealt Arbor an immutable path in life, one of tragedy, simply for being born in the wrong place on the wrong rungs of society. It's a tale where all of the characters live their lives in gutters - Barnard proves however, with her hauntingly compassionate movie, that she at least is looking up at the stars. The British film industry is lucky to boast such a refined talent.